Next week is shaping up to be a brilliant week of tweetchats and twitter based conversations. First up on Tuesday 4th Feb I will be interviewing Building the Future (based in Catalonia, Romania and Brazil) with @C21EXPO_Europe as part of the Construction21 Euro Green Build virtual Expo tweetchat series. 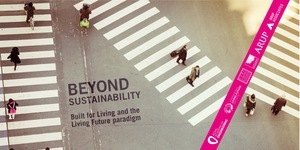 We will be discussing sustainability communities in the built environment. And then, on the 6th February, as part of the UKGBC’s Pinpoint programme taking place 3-7 Feb to increase awareness of The Living Building Challenge in the UK with UKGBC members, we will be hosting, with @UKGBC Pinpoint, a conversation with Amanda Sturgeon, VP of the Living Building Challenge at the International Living Futures Institute in Seattle. >>> Join this conversation at 11am PST, 2pm ET and 7pm UK using the #GVischat hashtag. All of the above tweetchats will run for 60mins and provide ample opportunity to post questions to guests, share your experiences and comment on the subject matter. We look forward to seeing you there, and if you would like to discuss how tweetchats can promote your organisation or sustainability initiatives please do get in touch. This entry was posted in comment and tagged #C21ExpoChat, #GVisChat, #sustldrconv, Andrea Learned, Building the Future, construction21, Construction21EXPO, Kimberly Clark, Living Building Challenge, Peggy Ward, PinPoint, sustainability, tweetchat, Twitter, UKGBC on January 31, 2014 by martin brown. Discover why we think that the restorative sustainability thinking of the Living Building Challenge, as a philosophy, advocacy platform and a certification tool is vital to the UK sustainable construction. The Living Building Challenge™ is the built environment’s most rigorous performance standard. It calls for the creation of building projects at all scales that operate as cleanly, beautifully and efficiently as nature’s architecture. To be certified under the Challenge, projects must meet a series of ambitious performance requirements, including net zero energy, waste and water, over a minimum of 12 months of continuous occupancy. A Full Day Course: Understanding the Living Building Challenge provides a 6-hour in-depth introduction to the Living Building Challenge. Attendees are green building leaders in their community: design professionals, contractors, developers, owners, government officials and employees of public agencies. In short, anyone and everyone who can impact the development of the built environment. This course will be in English without translation available. Participants who successfully complete the course will receive a certificate of course completion. This entry was posted in comment and tagged Leeds Met University, Living Building Challenge, UKGBC on January 22, 2014 by martin brown. A while ago I posted on the UKGBC task force UKGBC task group too important to be so narrow? and how it should embrace an open collaborative wiki style approach to the development of the Code for Sustainable Buildings. Now the good news is that the UKGBC have started a consultation on the development of the Code. Closing date back to the UKGBC is on the 12 December. A very short window compared to the months given to the same process for the Construction Sustainability Strategy. 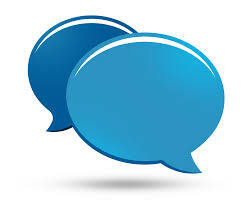 The document can be downloaded from here, and a discussion area has been set up on the be2camp forum. This entry was posted in built environment, comment, construction, green buildings, links, News, sustainability and tagged be2camp, Code for Sustainable Building, CSB, UKGBC on December 2, 2008 by martin brown. The UKGBC released results of a survey earlier this week, which should be seen as important reminder that sustainability is here to stay despite the economic situation. Results released today from a poll held during a webinar hosted by the UK Green Building Council have revealed that British companies see sustainability as a growth area over the next 3 years, despite the current financial crisis. More than 92% of respondents felt that sustainability would either grow as an issue or stay at the same level despite the credit crunch. 27% said that the financial crisis has had no adverse effect on their organisation’s efforts to tackle sustainability and more than half (55.54%) said it had caused it to become an even bigger focus for them over the past 6 months. The general consensus from respondents was that during these times of uncertainty, it is important for government to stick to ambitious green targets, maintaining the direction of travel for policy and regulation. More than 96% either agreed or strongly agreed with this statement. Me: whats the buzz re green v credit crunch ? This entry was posted in comment, News, sustainability and tagged Greenbuild 08, Pam Broviak, triple bottom line, Twitter, UKGBC on November 21, 2008 by martin brown.